Wolves, llamas, bison and wild horses…Get your cameras ready. You will experience some magic moments. 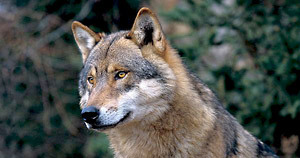 Within the Parc National du Mercantour, Alpha, the Parc des Loups du Mercantour, offers an incredible natural meeting with this legendary animals. You may observe 3 packs of grey wolves running wild, in their natural environment, and guided by the ranger team. Also not to be missed are the three multisensory show rooms, installed in ancient dairies, where the history of man and wolf, one of fear and fascination, is told. In the Grasse highlands, ”La Réserve Biologique des Monts d’Azur” is a controlled nature reserve, unique in the world. 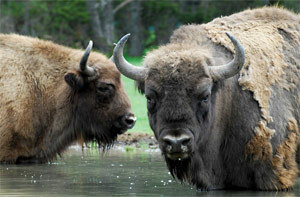 In a protected area of 700 hectares, a herd of European bison and wild horses (Przewalski horses) roam in total freedom. In a horse drawn carriage or by foot, within the framework of guided visits lasting around 2h, you will get the chance to spot and even approach these extraordinary animals. 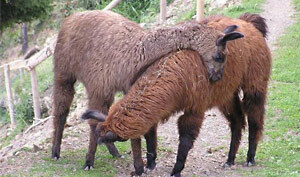 At the gates of the Mercantour, Philippe and Christian invite you to their llama farm.